We are the ultimate full service hair and beauty salon for men and women in Huntington Beach, California. 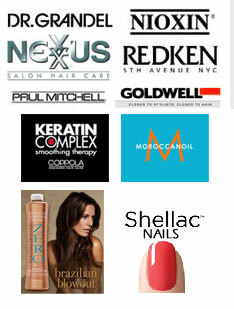 We have English, German, Vietnamese and Spanish speaking Hair, Nail and Skin Care specialists. We are located in OLD WORLD VILLAGE, a charming EUROPEAN VILLAGE across from the Huntington Beach COSTCO and the Bella Terra Mall. The Upstairs Salon. Huntington Beach Hair Salon. Come in and enjoy our friendly atmosphere and experience our internationally staffed team with a focus on you, the Client. Get rid of unwanted hair permanently! Call for free consultation and introductory price.